Apache Cassandra is a free, open-source project and a second-generation distributed NoSQL database and is considered to be the best choice for high availability and scalability databases, particularly when dealing with large amounts of data. Cassandra supports replication across multiple datacenters, while also making the write and read processes highly scalable by offering tunable consistency. This Apache Cassandra training course will provide you with an overview of the fundamentals of Big Data and NoSQL databases, an understanding of Cassandra and its features, architecture and data model, its role in the Hadoop Big Data ecosystem, and show you how to install, configure and monitor Cassandra. 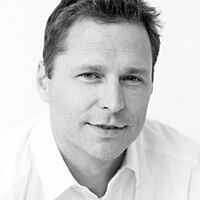 Why is this Apache Cassandra course a popular choice? Apache Cassandra is carefully designed to handle huge workloads across multiple datacenters without a single point of failure, making it a popular choice for IT organizations worldwide. Cassandra provides enterprises with greater database availability, scalability and performance, and as an open-source project, it allows you to use the source code and modify it as your organization requires. According to recent surveys, job prospects for Cassandra experts are growing at the rate of 300 percent. Certified professionals will be prepared for such careers as: senior software professional, IT consultants, lead software professionals and database administrators. The value of Apache Cassandra has increased sharply in the recent years and this certification is quickly becoming an entry requirement for a majority of IT-based roles. According to a recent survey, the average salary of a certified professional in this field ranges from $75,000 to $132,000. Who should take this Cassandra course? 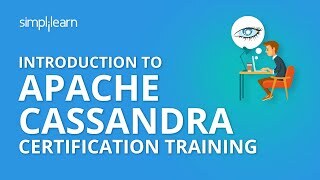 What are the prerequisites to become a Certified Apache Cassandra Professional? The Apache Cassandra course offered by Simplilearn includes both online and classroom training. The courseware also includes demos for better understanding of the key concepts. Yes. We do offer a money-back guarantee for many of our training programs. You can refer to the refund policy and submit refund requests via our Help and Support portal.